Scotland seems to be small, but it is not, not at all, especially when you understand how many things you can find on your way. Let’s start to taste one of the 50 shades of Scotland on the road! 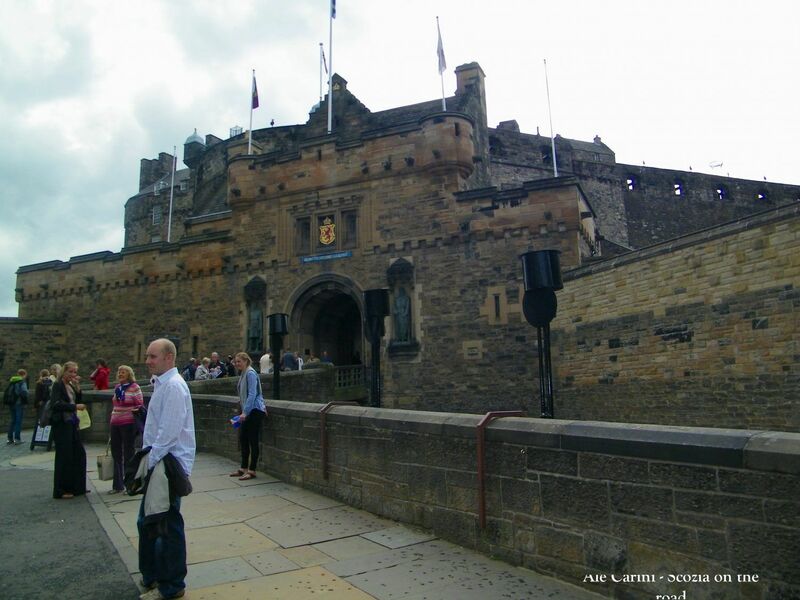 We dedicate at least, the first 2 days to visit Edinburgh, among the places of Harry Potter, The Castle, the Old and New Town and anything else this city has to offer. Click here to see the attractions available! Have you been to the “closes”, have a look there ! If you have already visited Edinburgh, you can go directly to Inverness. Adding a stop and / or spending more time on somewhere else! It’s up to you. The third alternative is to visit the Cairngorms National Park or the Cairngorm Reindeer Center’s natural reserve, that will undoubtedly leave you speechless. To be honest for me it is always difficult to choose, I’d love if I could see everything!! At the end of 4 day, you are arriving in Inverness and maybe, if it’s not too late (or you’re not too tired), you should do a small visit to the city, enjoying a walk along the river. Inverness is a very romantic and pretty city, suspended between shaky bridges and canals. 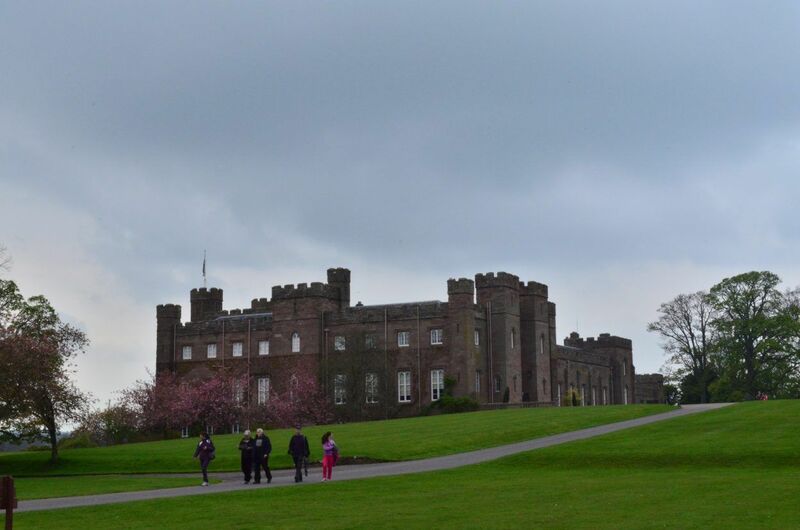 This is a nice walk you can do in inverness, click here. Direction Loch Ness, driving the A862. 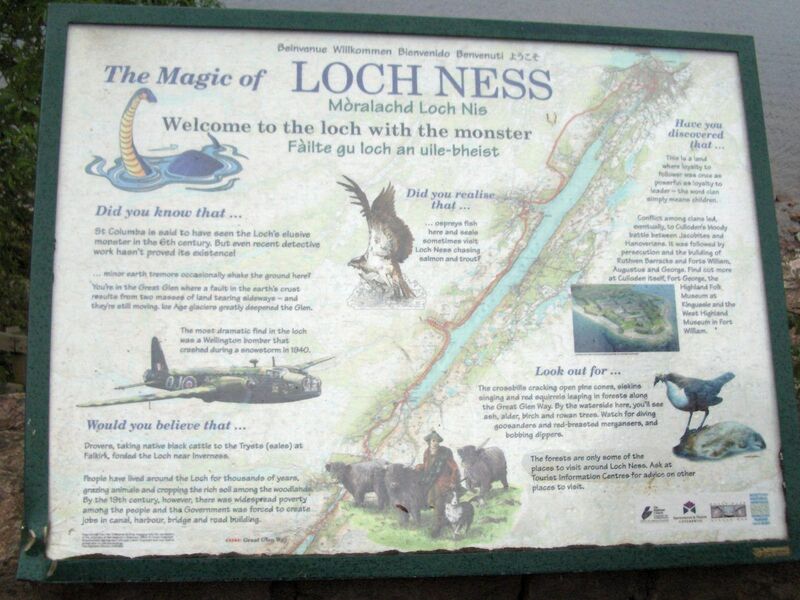 It is not a tourist area, the roads are narrow but offer a beautiful views of the Loch. Following the lake, you will arrive at Urquhart Castle, one of the largest in Scotland. Take a few hours to visit. For a lunch break, I recommend Fiddler’s where you will find great Haggis and a great selection of beers and whiskeys. If you do not need to take a break, seeing the castle on Loch Ness, go to Kyle of Lochalsh, where you can see one of the most photographed castles in Scotland, Eilean Donan Castle. You could stay here for the night, or choose an intermediate place between this stage and day 6, It’s up to you! The great thing about the “fly & drive” experience is the absolute freedom to do what we like! A little curiosity about this picture. I took it in 2008, during my first trip to Scotland and used it for a contest named “People at Eilan Donan”. I didn’t win, but it was such a great pleasure to attend it and have the chance to see so many beautiful photos taken and shared by so many people who visited the castle! If you have 5 minutes spare-time, go the Eilan Donan Castle Facebook page, in the album people@EileanDonan… here you can find the pictures taken for that competition and many more. Direction Isle of Skye. For anything you can do and see on Skye on a 3 or 4 days visit, please refer to my previous article by just , just clicking here. If you don’t have so much time to spend there, take a look at this video: it will give you a glimpse of what you might do and see over there. As you can see, Skye have a lot to offer from the picturesque town of Portee to Talisker distillery and bay, from Neist Point to Fairy Pools to Dunvegan Castle, with its legends and boat ride to see the seals. You can choose to visit the Black House Museum at Duntulm. You could also visit Elgol with stunning views and to know more about the boat trips among the mountains, here! But as you can see there’s a lot more! Direction Fort William, driving through the panoramic and unforgettable Road to the Isles. Here you can admire all the villages that overlooking the sea, the bays and the wide boats. From Fort William, you can also take the Jacobite Steam Train the famous train, like on the Harry Potter’s movies, or, if you do not have time to board, you can see it at the station before the departure or go to some strategic point along the wonderful Glenfinnan viaduct, where this magical train passes. You can also make the ticket and climb up to the top of the monument, for a steep spiral staircase, then admire a panorama that will leave you speechless. Occasionally this attraction is closed, so check it out beforehand! Than you arrive in Fort William, a rich city interesting to visit and close to Ben Nevis. Direction Loch Lomond and its stunning landscape and the Queen Elisabeth Forest park. 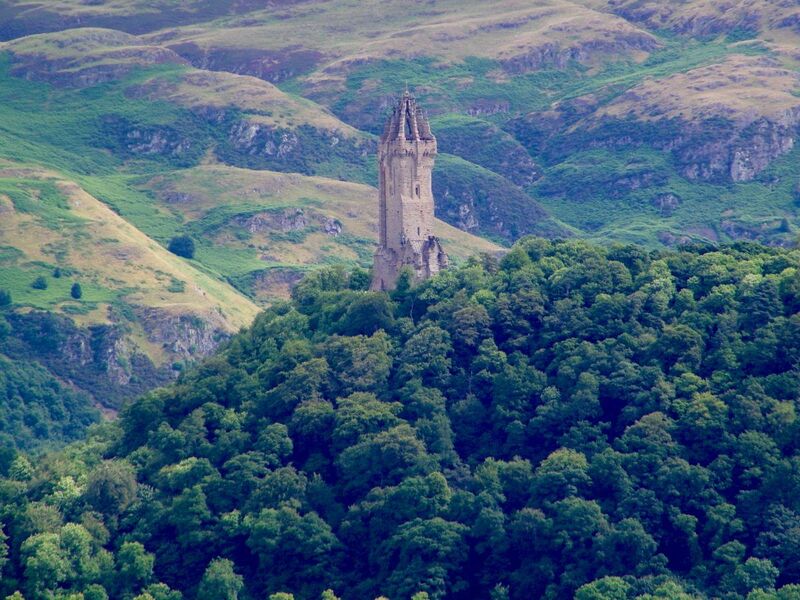 Go to Stirling and go to see The Wallace Monumet, the castle etc. or go to Falkirk and see also the Kelpies, the Falkirk Wheel or Callendar House. In this itinerary I did not include Glasgow because it needs, at least, another 2 days to be visited. If you have 2 more days to stay in Scotland, or if it is not your first time in Scotland and have already visited one of the places I’ve mentioned in this route, you can replace it with Glasgow. Both the city and the surrounding areas have a lot to offer, you will find several articles here on my blog. Go!, because you will not be disappointed. It’s a not-so-known city, but it’s worthy to be discovered. For a preview of what to see in Glasgow, click here. 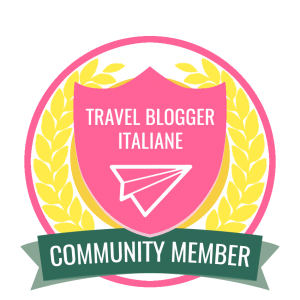 This is just one of the thousands different itineraries that you can do, through and only a suggestion to start your journey, looking for what you most like. A clue for building the right path for you, in the wave of your emotions and personal tastes. For more information, suggestions and curiosities, if you want you can also follow me on facebook, page and group “Scotland on the road”.